In the manufacturing of auto body parts, laser projectors help with the inspection of welds. The combination of laser illumination and image processing offers interesting possibilities for the automation of optical quality controls. Lasers are a source of structured illumination in many image processing systems. With this form of lighting, the spatial contours of both still and moving objects can be captured. Lasers are subsequently used to detect, measure, and align defects, presence, diameter, edges, gaps, and more. Depending on the type of objects to be examined, line lasers that produce micro or macro lines, various patterns (multiline, dot screens, crosses, circles, etc. ), or wavelengths (red, green, blue, IR) are commonly used. 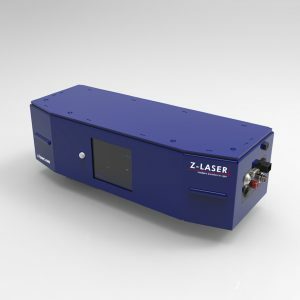 The new ZX lasers are also ideal for integration into sensors. Wir haben Bildverarbeitungslaser für jede Anwendung! 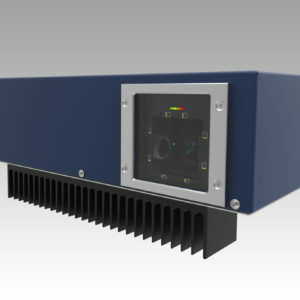 Laser Projector The ZLP1 is a cost efficient laser projector. Optimized for smaller projection areas and optical worker guidance. Mit der Übermittlung Ihrer Daten akzeptieren Sie unsere Datenschutzbestimmungen. Zur weiteren Verarbeitung speichern wir Ihre Daten.